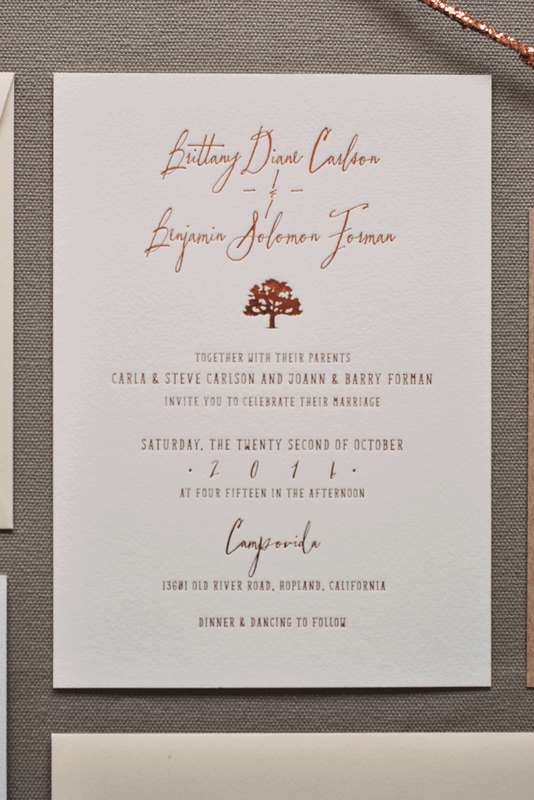 Contemporary rustic elegance takes the lead with this versatile wedding invitation suite featuring a modern calligraphy script, hand-drawn text and a minimalist oak tree. 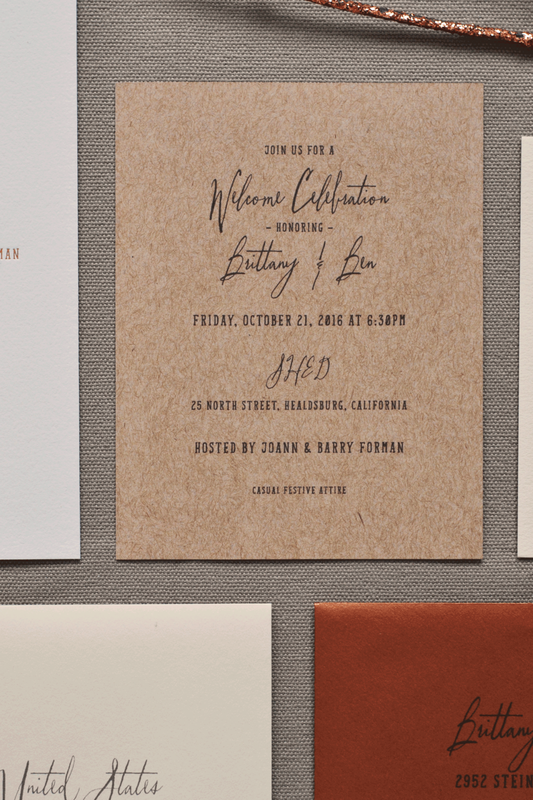 Shown here copper foil printed with on creamy Dutch watercolor cardstock with earth tone accents in ivory, straw kraft and shimmering copper. 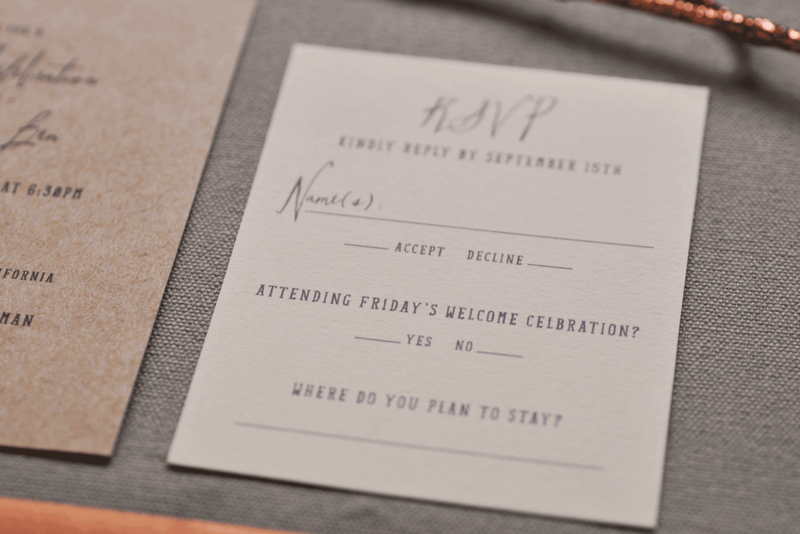 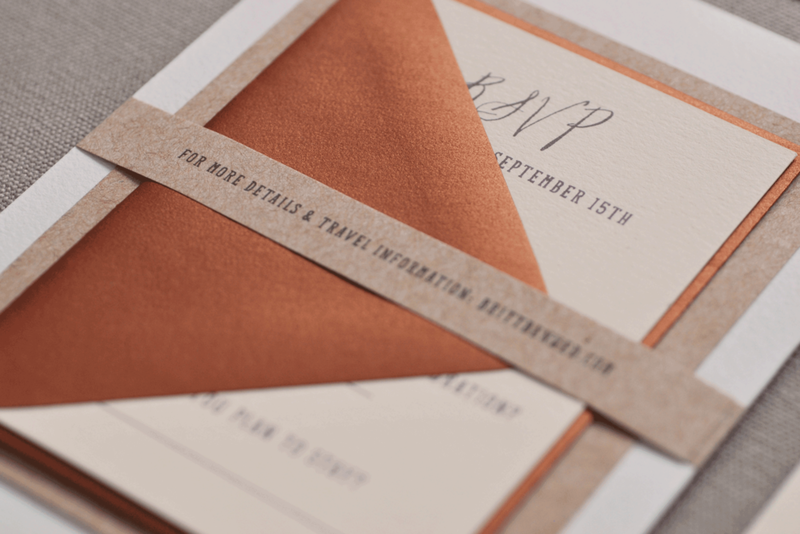 Components for this couple's suite included the Invitation, Reply Card, Weekend Events Insert, Printed Belly Band (with wedding website) and Addressed Envelopes.